SST: Single Stereo Technology, mono summing. SUR: Surround. 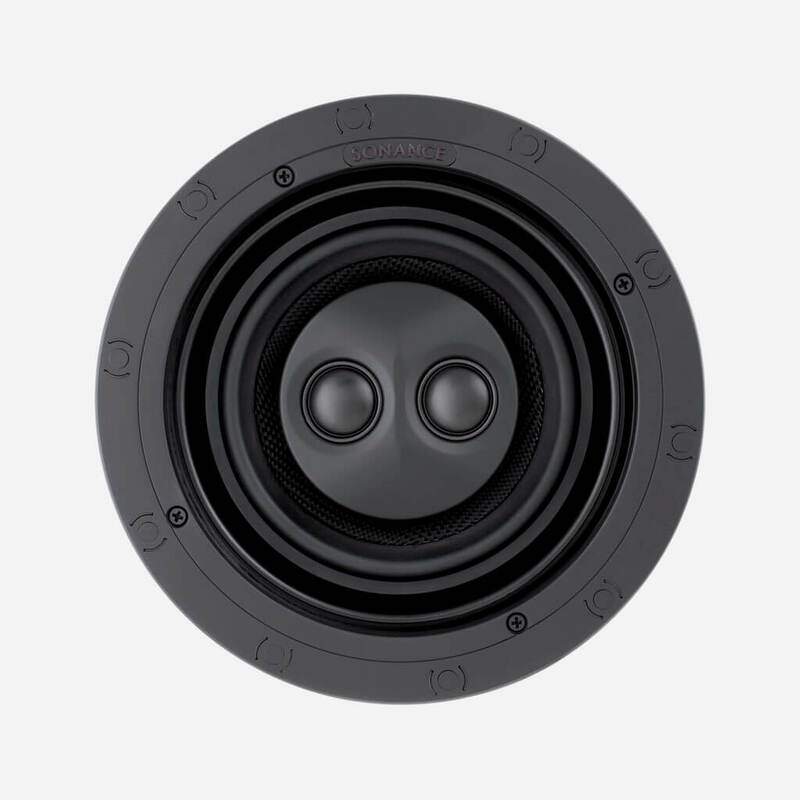 Visual Performance VP46R SST/SUR Small Round Single Stereo Speaker. Tweeter: Two 1" (25mm) powder-coated aluminum dome, Ferrofluid-cooled, in acoustic back chamber. Woofer: 4 1/2" (114mm) Kevlar/Nomex laminated cone with a rubber surround, dual voice coil. Frequency Response: 58Hz - 20kHz ±3dB. Power Handling: 5 watts minimum; 70 watts maximum. Adjustments: Rear SST to SUR switch on crossover cover. Shipping Weight: 3 lbs (1.4kg) each. Cut-out Dimensions: 5 7/8" (149mm). Speaker Depth: 3 3/4" (95mm). 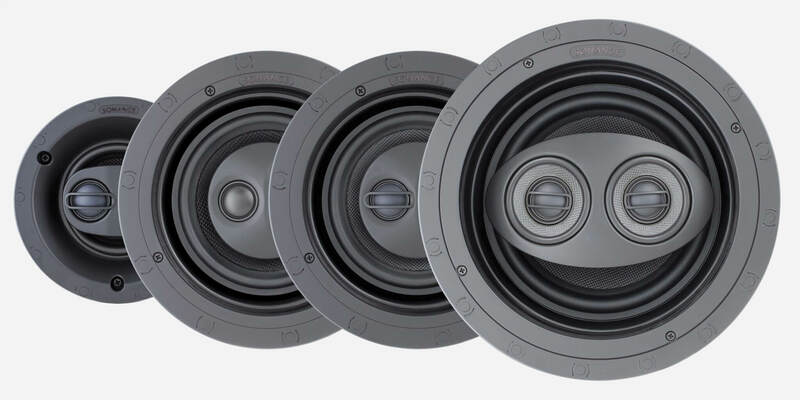 Visual Performance VP62R SST/SUR Medium Round Single Stereo Speaker. Tweeter: Two 1" (25mm) cloth dome, Ferrofluid-cooled, in acoustic back chamber. 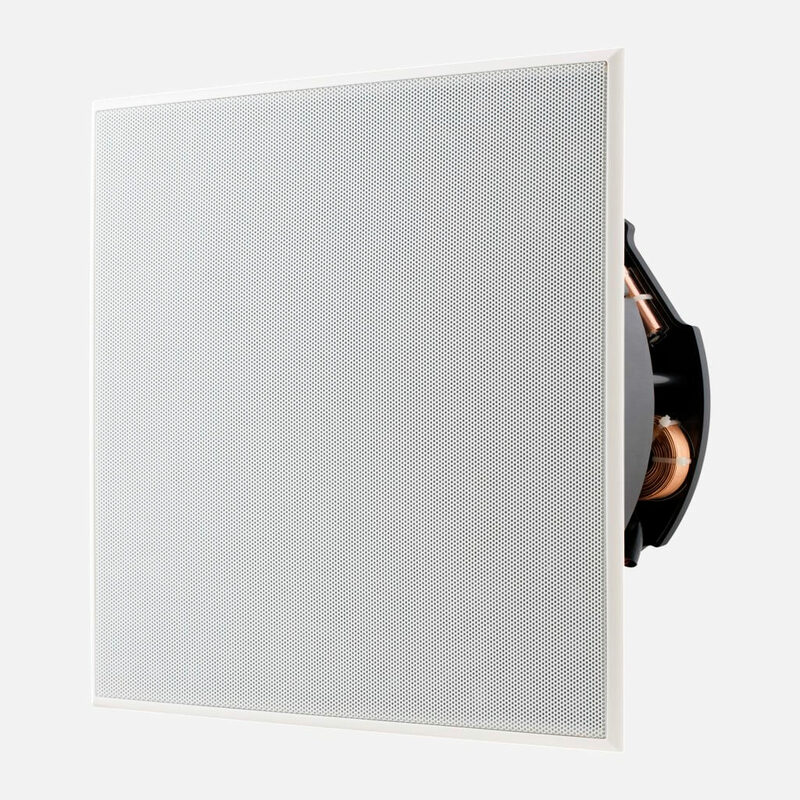 Woofer: 6 1/2" (165mm) textured polypropylene cone with a rubber surround, pivoting, dual voice coil. Shipping Weight: 5 lbs (2.3kg) each. 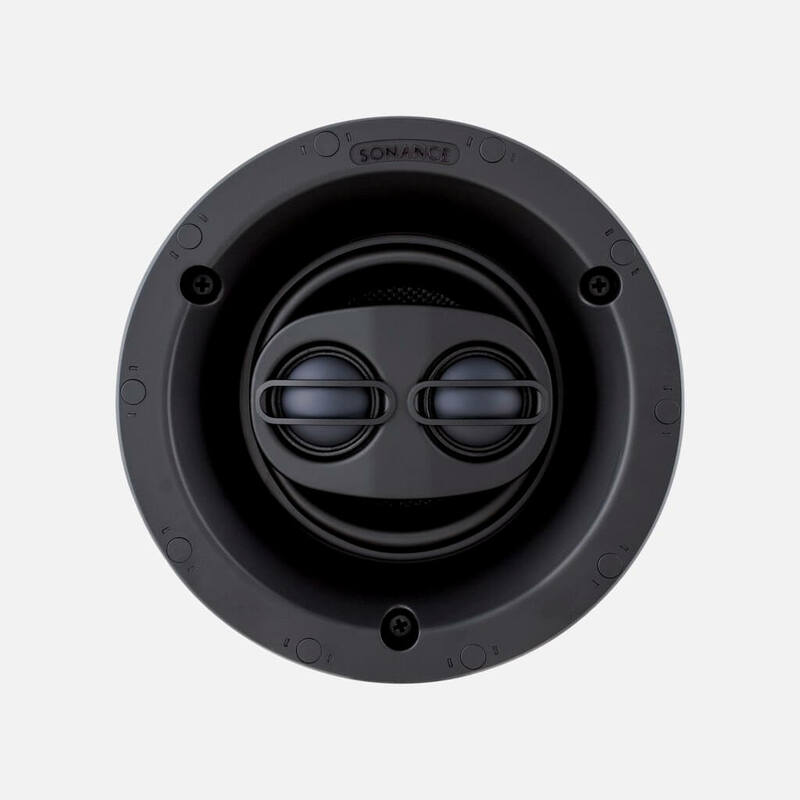 Visual Performance VP66R SST/SUR Medium Round Single Stereo Speaker. Tweeter: Two 1" (25mm) powder-coated aluminum domes, Ferrofluid-cooled, in acoustic back chamber. Woofer: 6 1/2" (165mm) Kevlar/Nomex laminated cone with a rubber surround, pivoting, dual voice coil. Visual Performance VP86R SST/SUR Medium Round Single Stereo Speaker. Midrange: Two 3" (76mm) Kevlar/Nomex laminated cone with a rubber surround. Woofer: 8" (203mm) Kevlar/Nomex laminated cone with a rubber surround, pivoting, dual voice coil. Frequency Response: 34Hz - 20kHz ±3dB. Sensitivity: 91dB SPL (2.83V/1 meter). Shipping Weight: 10 lbs (4.5kg) each. 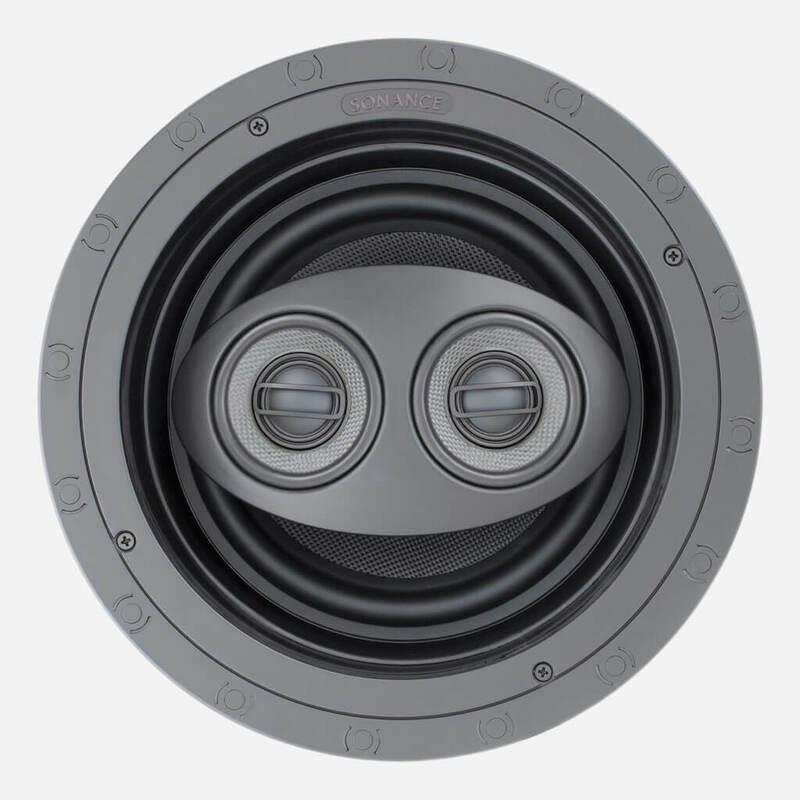 Speaker Depth: 5 7/8" (149mm). Visual Performance VP66 SST/SUR Medium Round Single Stereo Speaker. Woofer: 6 1/2" (165mm) Kevlar/Nomex laminated cone with a rubber surround, dual voice coil. Dimensions: 8 3/8" x 12 1/4" (213mm x 311mm). Cut-out Dimensions: 6 15/16" x 10 3/4" (176mm x 273mm). dmg-mg is the first truly high-end and super custom integrator in South Florida. dmg-mg is a certified direct dealer, integrator and installer of Sonance Visual Performance SST/SUR Speakers for commercial and residential applications in the Miami / Fort Lauderdale area. 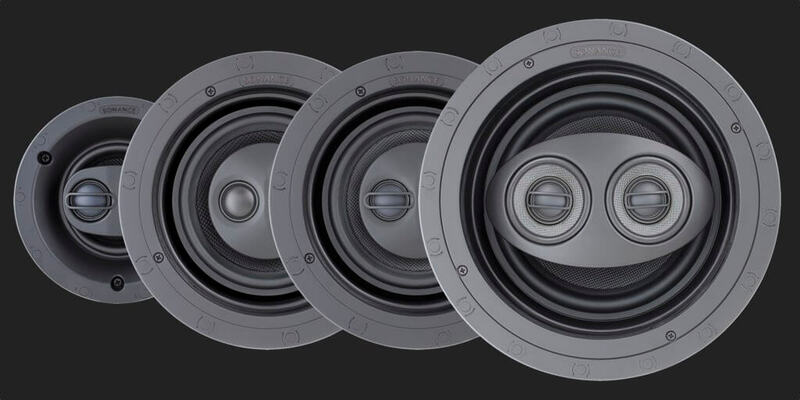 Ensuring peace of mind, for the best price, professional custom installation, and warranty protection of your high-end, Visual Performance SST/SUR Speakers. The world's best sounding invisible SST Speaker. 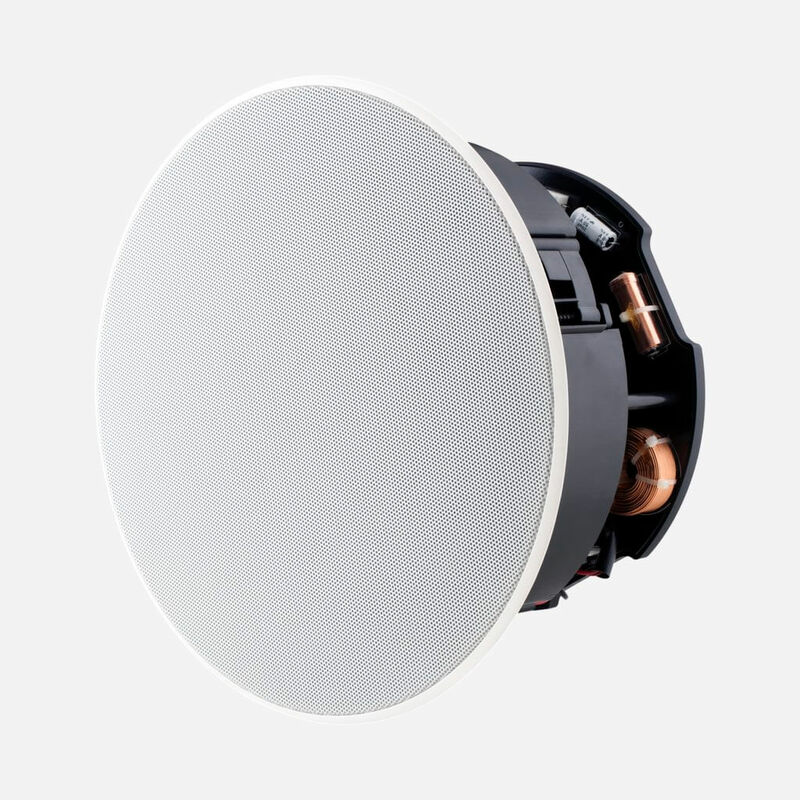 Surface Mount 70v Commercial SST Speaker.